This lovely Robin Chopping Board is perfect for adding a touch of countryside charm to your kitchen. There is something really enchanting about a robin. We always feel honoured when one decides to make our garden their home. 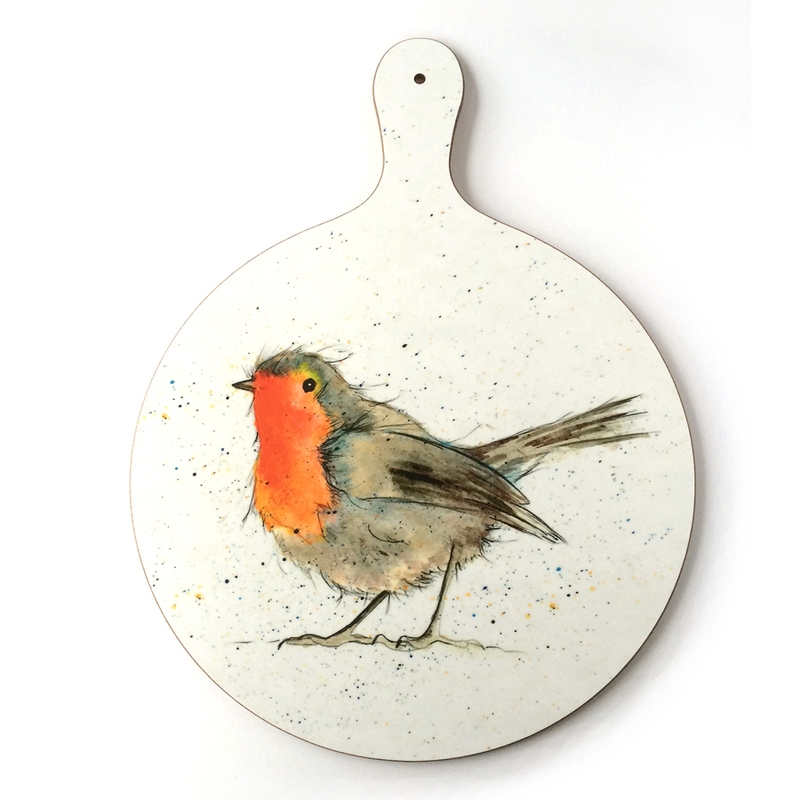 Why not let this adorable robin into your kitchen and let him help out with the chores! A perfect present for keen cooks and bird fans, or perhaps a little something for you! Made in the UK, and measuring 27cm in diameter, this durable chopping board is heat resistant to 140 degrees. It can also be used as an attractive bread or cheese board at the table.This adorable Chopping Board would also make a wonderful birthday gift or housewarming present for countryside lovers!